Spices were an important component of ancient commerce long before the 15th-century, and for centuries they were monopolized by Middle Eastern and North African middlemen who heavily guarded the Asian provenance of their valuable sources and they became quite wealthy for it. In those days spices were used for flavouring food, making perfume, embalming the dead, preserving meat, and sprucing up salve recipes in traditional medicine. Europe dangled at the far end of the trading chain for spices, without access to eastern sources they often had to resort to using local plants. There is a long history of Europeans using spices that now officially dates back 6,000 years. German researchers discovered evidence of garlic mustard in the residues left on ancient pottery shards that were located in three campsites in Denmark and Germany. Researchers studied charred deposits found inside the pottery that they have dated somewhere between 5,800 and 6,150 years ago during the Stone Age. The finding, published in the August 21, 2013, journal PLOS One is the oldest evidence of spices being used for culinary purposes according to Oliver Craig, study co-author who is an archeologist at the University of York in Great Britain. 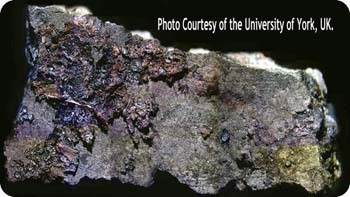 Craig and his team found phytoliths which are microscopic specks of plant-based silica, on the fire-scorched pottery shards. The research team identified garlic mustard seeds. Garlic mustard seeds are well-known for their peppery taste. These findings challenge a previously held belief that hunter-gatherers were only concerned with searching for the most calorie-dense source of food. Although this is the first evidence of spice use in Europe, flavouring food may have been a common practice in the Middle East much earlier. Coriander was found in a cave in Israel that dates back about 23,000 years. It’s really interesting to learn that a common wild edible has such a long history of use in the kitchen or rather on the campfire. The entire plant is a great source of food: seeds, flowers, leaves, stem, and root. The aerial parts can be used in a variety of ways from making pesto to salads and the roots are very close in taste to horseradish so they make a great tasting condiment! For information and recipe ideas on garlic mustard be sure to click here! Photo Courtesy of the University of York, UK.